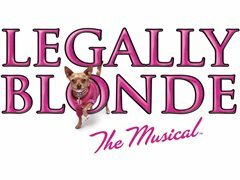 Papakura Theatre Company presents the Auckland Premiere of Legally Blonde: The Musical. A college-age girl with an optimistic, bubbly personality. She is beautiful, loyal, honest and sometimes a little nai¨ve. She needs to be charismatic and likable, with great singing, dancing and acting skills. Must be comfortable with (small) dogs and be, or willing to become blonde. Emmet is a smart, likable and honest. He has a chip on his shoulder – albeit justifiably. He’s quite quirky, but not necessarily nerdy. He needs to be likable and have a real presence, without being showy. Great acting and singing skills. Pilar – Belt - Pilar is smart, sassy and confident, and probably the leader of the group after Elle. Kate - Alto - Kate is the education chair at Delta Nu, so is the bookish one. Well, the LA version of that anyway. Bostonian local to Harvard, and owner of the Hair Affair. She is brassy rather than classy but has a heart of gold. She is giving and longs for a real love of her own. She must have great acting and singing skills. Dancing skills are a bonus. Vivienne is the classic overachiever. She feels she is a woman in a man’s world and acts that way. She’s wealthy, smart and plays down her looks to be taken seriously. This character goes through a big arc and has a huge sing, so acting and singing skills are a must. Must be a brunette. Brooke is the star of a popular exercise video to whom having a physically fit body is a must – and is accused of murder. Being physically fit is a must for this role, to be able to do high-level aerobics whilst singing. Seriously, Google it. Warner is attractive and ambitious. He looks like he’s the perfect guy, but he is self-absorbed and has a plastic charm. A genius and self important law professor at Harvard who sees the law as a weapon. He is charismatic but conniving. Looking for a strong actor and singer. Enid is a strong and opinionated liberal and feminist law student at Harvard. A bit of an outsider, she learns to see Elle as a friend. This character must have great comic timing. Store Clerk(s) (F 25 - 40) Underestimates Elle to her detriment. Snobby. Judge Riley (F 25 - 60) Sassy and strong. Big sing. Chutney Wyndham (F 22 - 35) Brooke’s stepdaughter. Whiny. Mr Woods (M 40 - 60) Elle’s father. Rich. Grandmaster Chad (M 18 - 25) White Reggae/Hip Hop dancer. Ridiculous. Nikos (M 18 - 30) Brooke’s Pool Boy. Gay/European. Carlos (M 18 - 30) Nikos ‘best friend’. Gay & European. Kyle (M 25 - 35) Paulette’s delivery guy. Muscles. Dewey (M 30 - 50) Paulette’s ex boyfriend. Trailer. Sundeep Padaman (M 22 - 30) Harvard Student and ex-royalty. Pompous. Aaron Schulz (M 18 - 25) Harvard student and child prodigy. Arrogant.